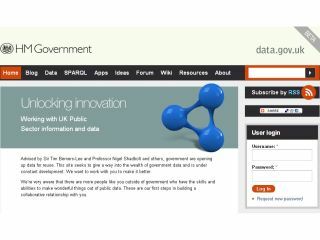 The government has teamed up with World Wide Web pioneer, Tim Berners-Lee, for a new website which offers "unprecedented access" to public data held by the government. A veritable one-stop shop of facts and figures, the site features a 'school finder' search engine, information on house prices, the locality of your nearest hospital and other tidbits on various amenities. "Making public data available for re-use is about increasing accountability and transparency and letting people create new, innovative ways of using it, Government data should be a public resource." said Berners-Lee about the launch of the website. "By releasing it, we can unlock new ideas for delivering public services, help communities and society work better, and let talented entrepreneurs and engineers create new businesses and services." If you want to have a look at how much (or how little) the government knows about the state of the nation, the go to http://data.gov.uk.